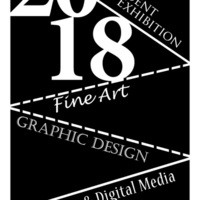 The Anita S. Wooten Gallery will host Valencia's Annual Juried Digital, Graphic and Fine Art Exhibition with a collection of student work including photography, painting, drawing, sculpture, ceramics, and graphic design, including interactive work. There will be an award ceremony to honor excellence in their discipline and their dedication to fine art education here at Valencia College. This exhibition is free and open to the public. Refreshments will be served at the opening reception to be held on Thursday, April 12 from 6:00pm to 8:00pm, with the Awards Ceremony taking place at 7:30pm.